NASA has released an image of a giant explosion in the sky! It’s called a “fireball,” and it’s an exceptionally bright meteor that’s visible over a wide area. 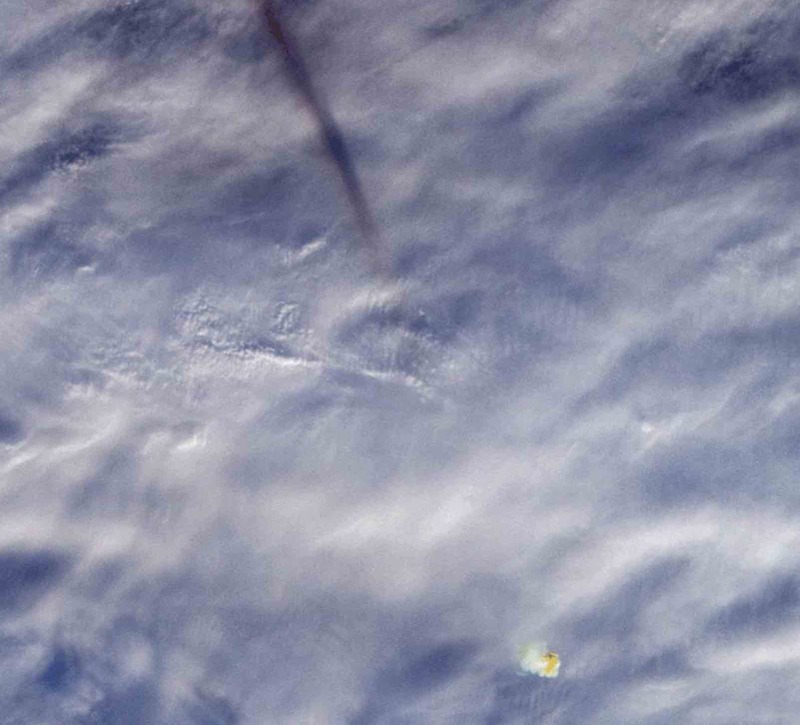 NASA’s Terra satellite captured the shadow of the meteor’s trail and the orange-tinted cloud it left behind. It happened on Dec. 18 about 16 miles above the Bering Sea. This was the most powerful meteor observed since 2013. The explosion unleashed 173 kilotons of energy — that’s more than 10 times the energy of the atomic bomb blast over Hiroshima during WW2. But because of its location, it posed no threat to the ground.